'Outliers' Puts Self-Made Success To The Test Why do Asian kids outperform American kids in math? How did Bill Gates become a billionaire computer entrepreneur? 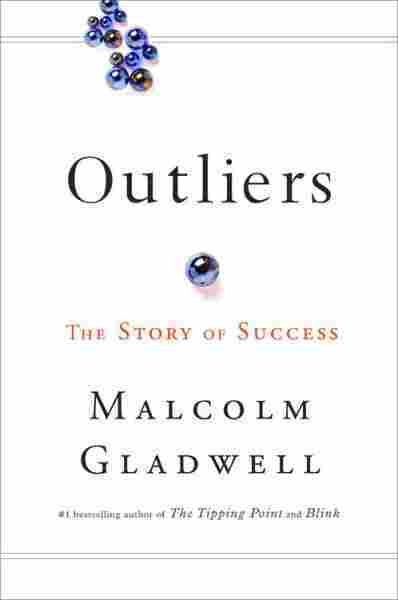 Malcolm Gladwell takes on these questions and more in his book Outliers. He argues that the "self-made man" is a myth. Why do Asian kids outperform American kids in math? How did Bill Gates become a billionaire computer entrepreneur? Was there something simply different about Mozart? New Yorker staff writer Malcolm Gladwell takes on these questions and more in his new book, Outliers: The Story of Success. 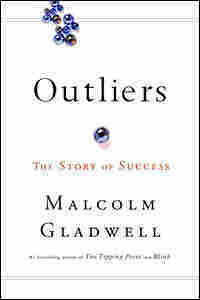 From corporate lawyers to talented hockey players to high-achieving students, Gladwell identifies "outliers" as those who have "been given opportunities, and who have had the strength and presence of mind to seize them." Gladwell debunks what he calls the "peculiarly American" belief that character, intelligence and hard work determine success. "It's the age-old American myth of the self-made man," Gladwell says, "the idea that we are not wholly, but largely — responsible for our own success ... When you look at the lives of the highly successful, the idea that they're self-made crumbles." Gladwell uses multibillionaire Bill Gates as an example of someone who benefited from extremely fortunate circumstances: In 1969, Gates' high school had a computer terminal at a time when even colleges didn't have them. "[Gates] had a one-in-a-billion chance to get good at programming in advance of every single member of his generation," Gladwell says. "And he's the first to admit this." Gladwell says he felt it was impossible to talk about achievement without talking about culture; he wanted to untangle long-standing puzzles about success and nationality. "One of the puzzles that educators have thought about for years is why is it that kids from Japan, Korea, Singapore, Hong Kong [and] China vastly outperform their American or Western counterparts in math," Gladwell says. "They score way, way, better than American kids do." Gladwell says he thought that Asian children might be inheriting a particular cultural legacy from their parents and their society that was helping them succeed in math — and he says he found the answer in the agricultural tradition of rice farming. "Rice farming lays out a cultural pattern that works beautifully when it comes to math," Gladwell hypothesizes. "Rice farming is the most labor-intensive form of agriculture known to man. It is also the most cognitively demanding form of agriculture ... There is a direct correlation between effort and reward. You get exactly out of your rice paddy what you put into it." While American students often say math skills are innate, Asian students more frequently attribute success in math to hard work. Gladwell admits that there is a lot of sensitivity when it comes to identifying trends of success and ethnicity. "A good chunk of this book is about making generalizations about culture, and we don't like to do that," he says. But he says that "cautious, specific probing" into these issues can be appropriate and instructive — especially done with the purpose of heightening achievement for groups that are under-performing. 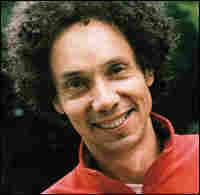 Gladwell is the son of a white father and a Jamaican-born black mother. He says he considers himself to be in the same category as the successful Jewish lawyers he writes about — who he argues succeeded in part because of persecution. "It's funny" he says. "One of the themes of the book is that being a member of an apparently distressed minority can sometimes have enormous advantages." Roseto Valfortore lies one hundred miles southeast of Rome, in the Apennine foothills of the Italian province of Foggia. In the style of medieval villages, the town is organized around a large central square. Facing the square is the Palazzo Marchesale, the palace of the Saggese family, once the great landowner of those parts. An archway to one side leads to a church, the Madonna del Carmine — Our Lady of Mount Carmine. Narrow stone steps run up the hillside, flanked by closely-clustered two-story stone houses with red tile roofs. Wolf's first thought was that the Rosetans must have held on to some dietary practices from the old world that left them healthier than other Americans. But he quickly realized that wasn't true. The Rosetans were cooking with lard, instead of the much healthier olive oil they used back in Italy. Pizza in Italy was a thin crust with salt, oil, and perhaps some tomatoes, anchovies or onions. Pizza in Pennsylvania was bread dough plus sausage, pepperoni, salami, ham and sometimes eggs. Sweets like biscotti and taralli used to be reserved for Christmas and Easter; now they were eaten all year round. When Wolf had dieticians analyze the typical Rosetan's eating habits, he found that a whopping 41 percent of their calories came from fat. Nor was this a town where people got up at dawn to do yoga and run a brisk six miles. The Pennsylvanian Rosetans smoked heavily, and many were struggling with obesity. Excerpted from Outliers: The Story of Success by Malcolm Gladwell Copyright © 2008 by Malcolm Gladwell. Excerpted by permission of Little, Brown & Company. All rights reserved.